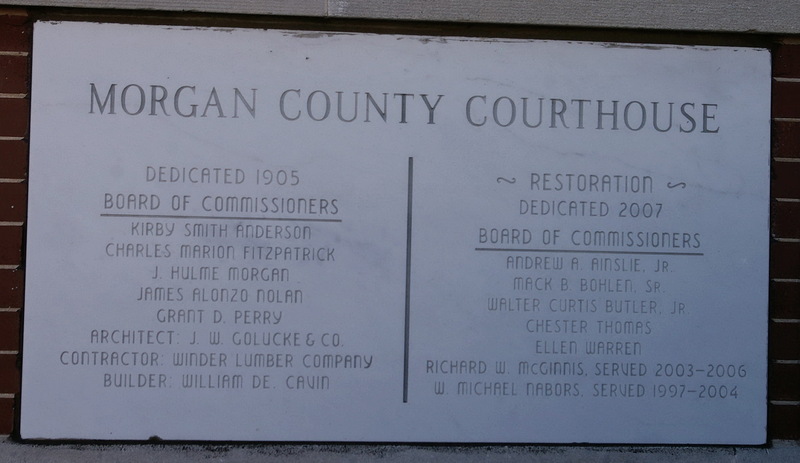 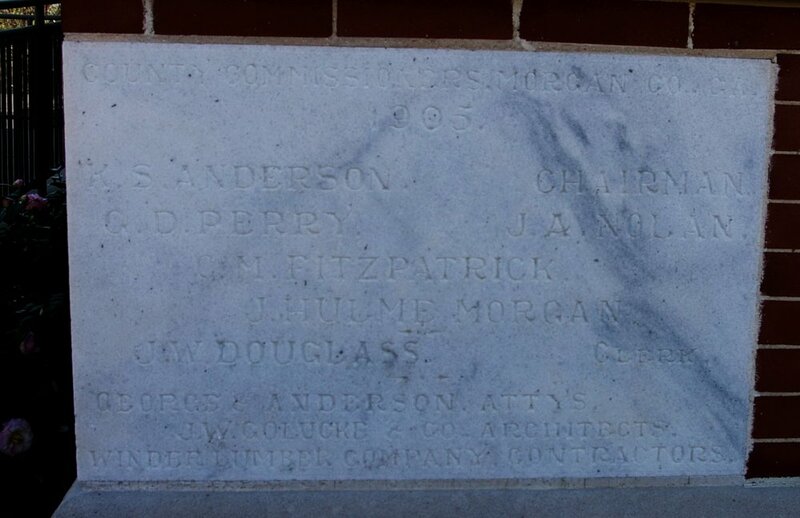 Morgan County is named for Daniel Morgan, who was general during the American Revolutionary War and a congressman from Virginia. 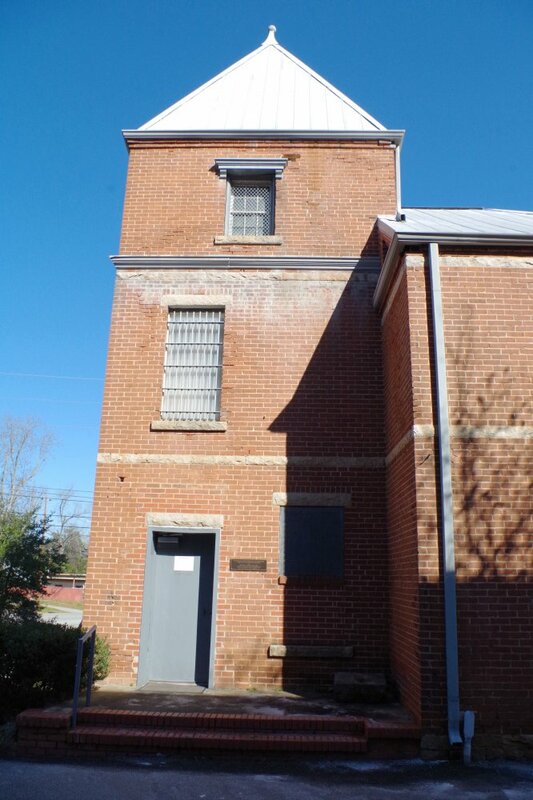 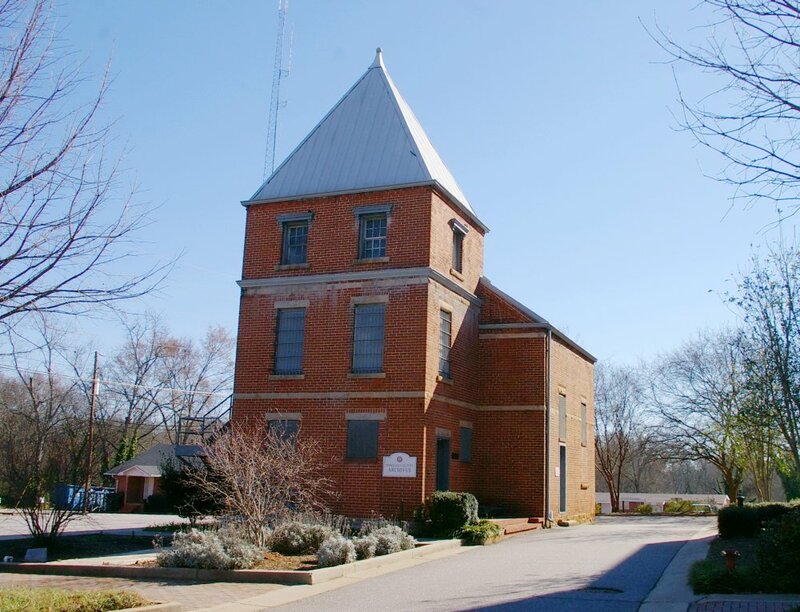 Description: The building faces southwest and is a two story red colored brick, concrete and stone structure. 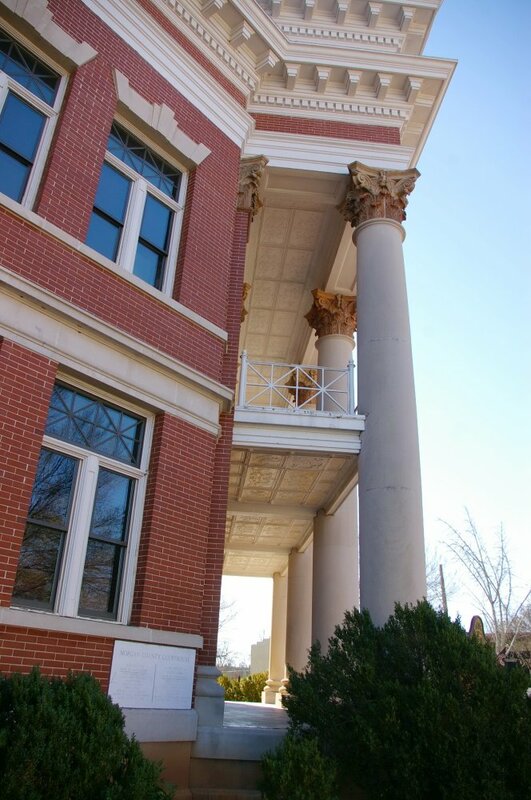 The southwest front has a large porch with four high columns supporting a balcony on the second story and rising to a wide header with pediment above the roof line. 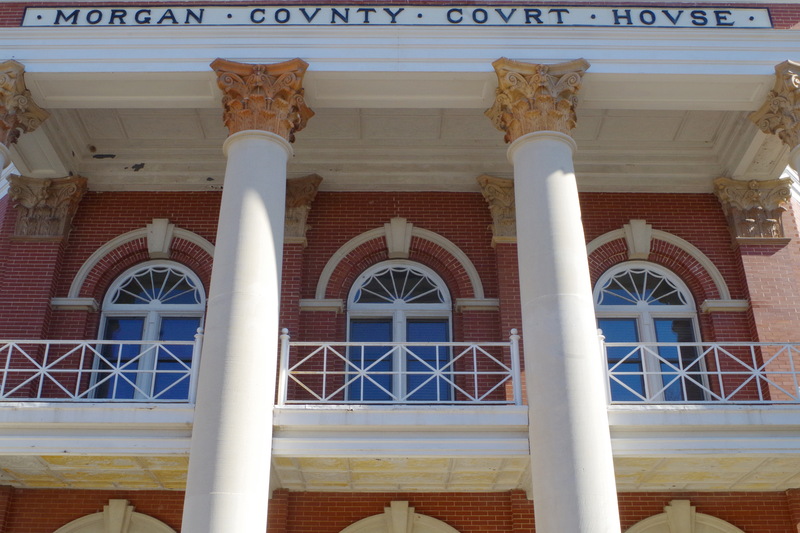 On the second story are three large arched windows. 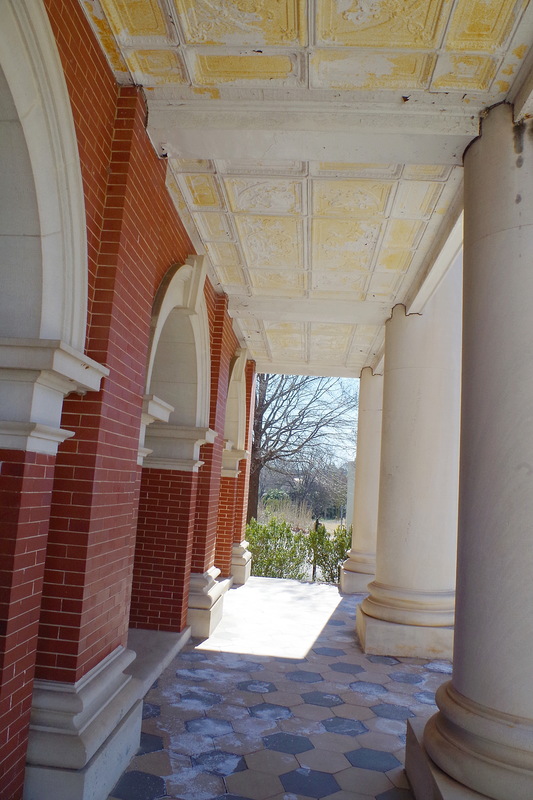 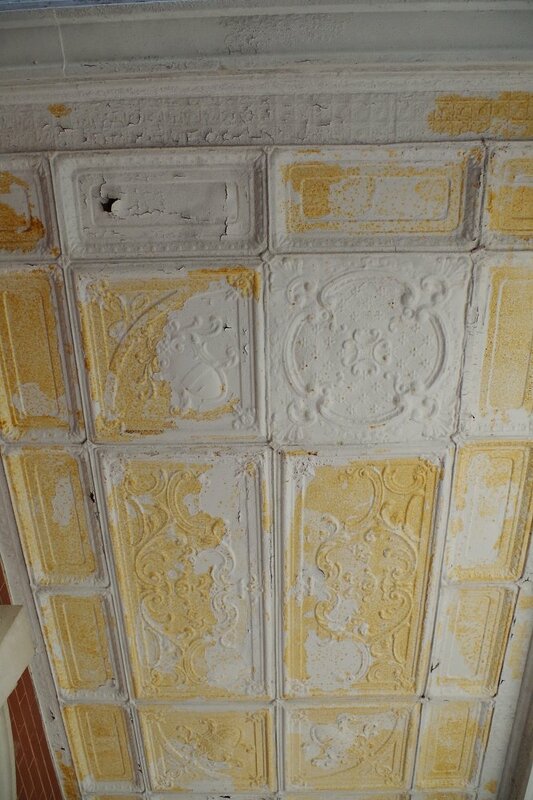 A wide cornice runs below the roof line. 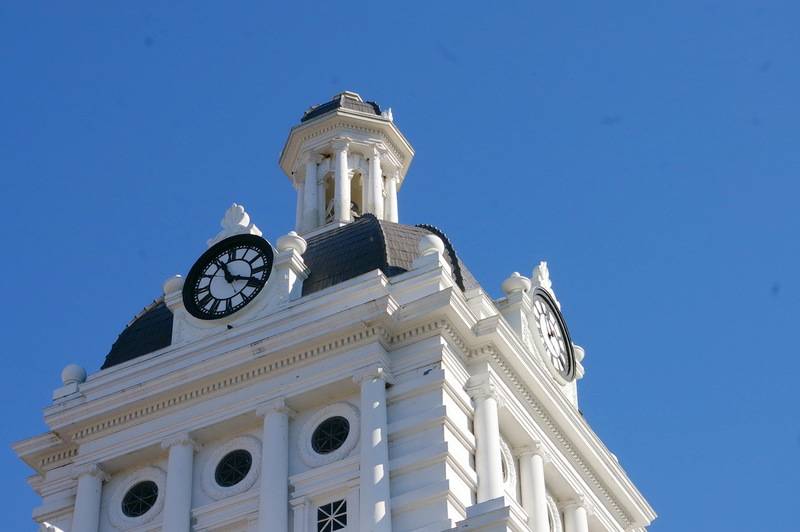 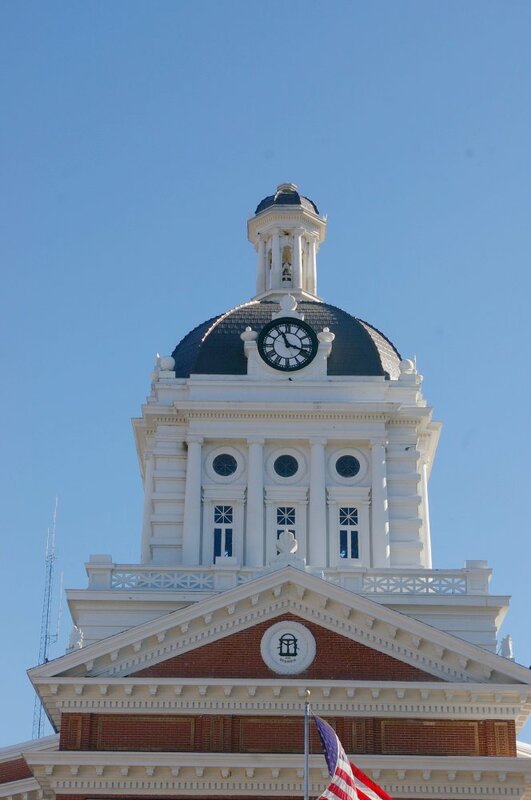 Behind the pediment is a large square white colored clock tower with clock , black colored dome and lantern at the top. On the north side is the old jail constructed in 1895. 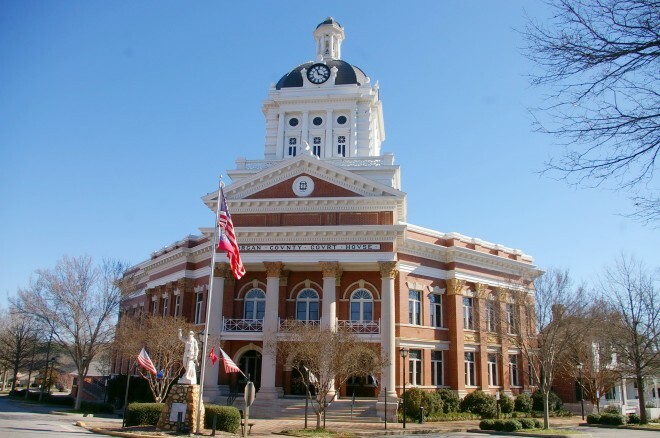 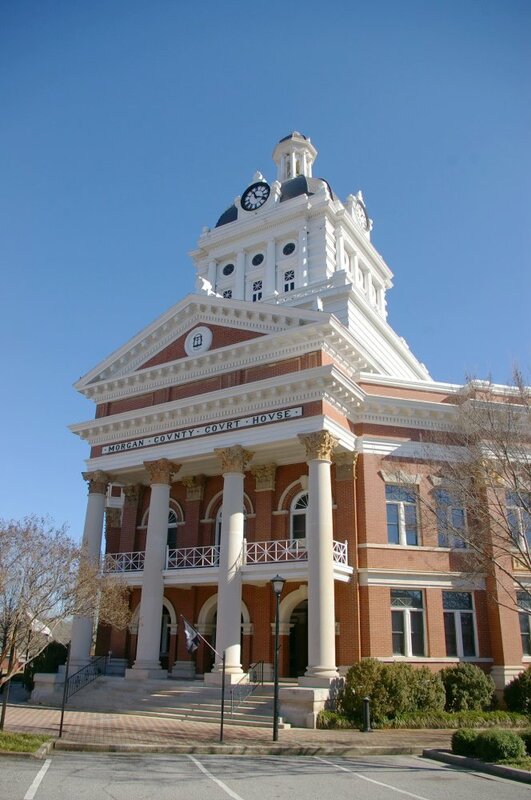 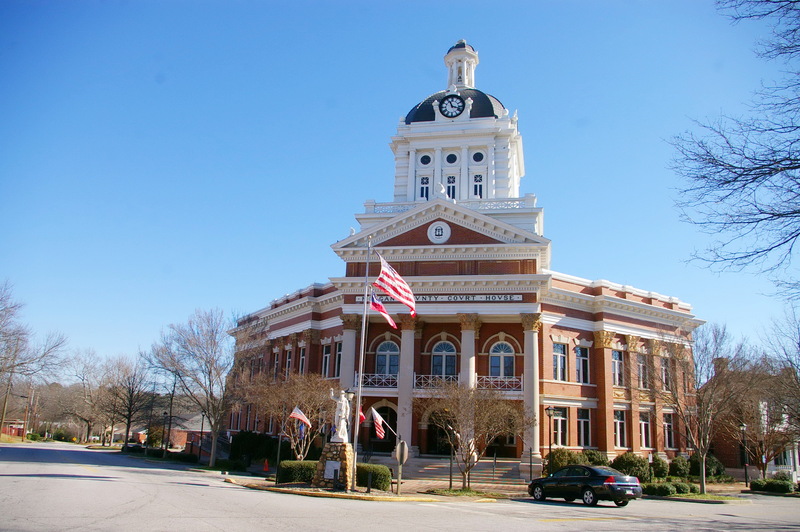 Note: The first courthouse was built on the square in 1809. 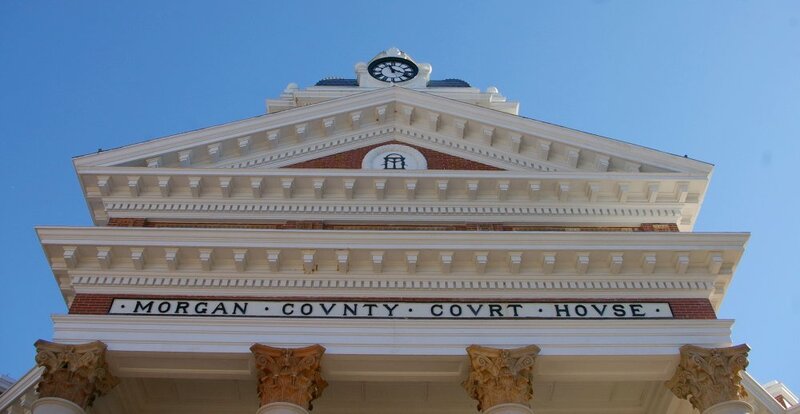 The second courthouse was built in 1845 and was destroyed by fire in 1916.